Forty-two percent of the U.S. population trusts the media -- down from 47% in 2017 and 2016, according to the latest Edelman Trust Barometer, an annual survey that looks at global trust in media, business and government. The Edelman Trust Barometer conducted a 30-minute online survey to more than 33,000 respondents in 28 countries. The survey was conducted between October 28 and November 20, 2017. The 18-year-old trust and credibility survey is run by Edelman Intelligence, a global insight and analytics consultancy. The survey found 63% of U.S. respondents say they do not know how to distinguish good journalism from rumor or falsehoods. Some 59% of respondents say it is getting harder to tell if a piece of news was produced by a respected media organization. Almost seven in 10 respondents worry about fake news and false information being used as a weapon. The survey found distrust in media in 22 of the 28 countries surveyed, mostly due to a significant drop in trust in platforms, such as search engines and social media. “People have retreated into self-curated information bubbles, where they read only that with which they agree, as if selecting their playlist for music,” stated Richard Edelman, president and CEO of Edelman. Although trust in platforms dipped two points to 51% this year, trust in traditional journalism online jumped five points to 59%. This year marks a six-year high in trust in traditional journalism online, but a six-year low in trust in social media and search engines. Nearly six in 10 agree that news organizations are politicized, and nearly one in two agree they are elitist. 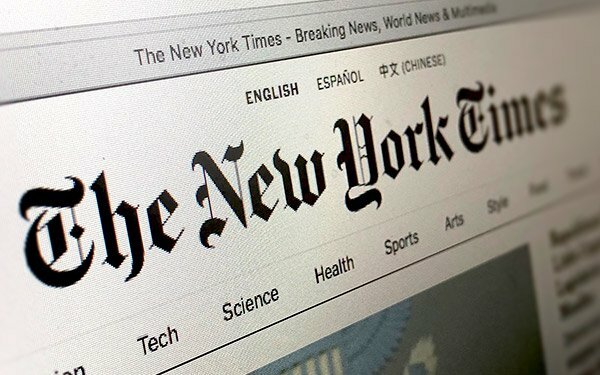 “People are becoming increasingly skeptical of news organizations, with a majority saying that news organizations are more focused on attracting large audiences than reporting the story (66%), breaking news over communicating with accuracy (65%), and supporting an ideology or political position over informing the public (59%),” according to the report. "This is a very important opportunity for media companies devoted to informing the general public," Edelman told Axios.